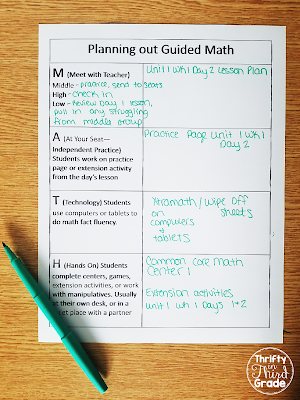 Are you wondering how to set up, organize, and make Guided Math work in your classroom? 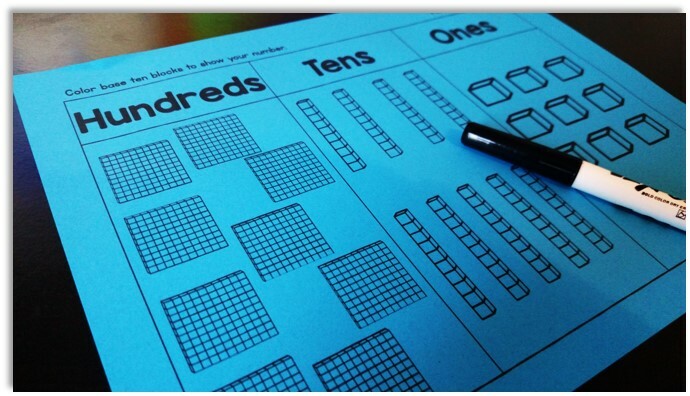 Are you trying set up Guided Math for the first time, or are you trying to figure out a way to be better organized? 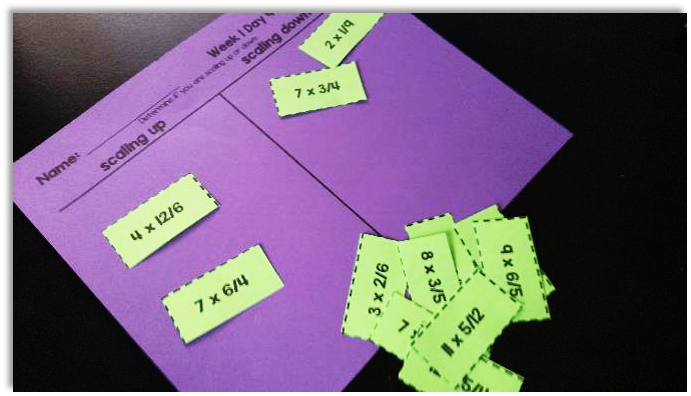 Do you want to make your Guided Math groups flexible--yet streamlined? 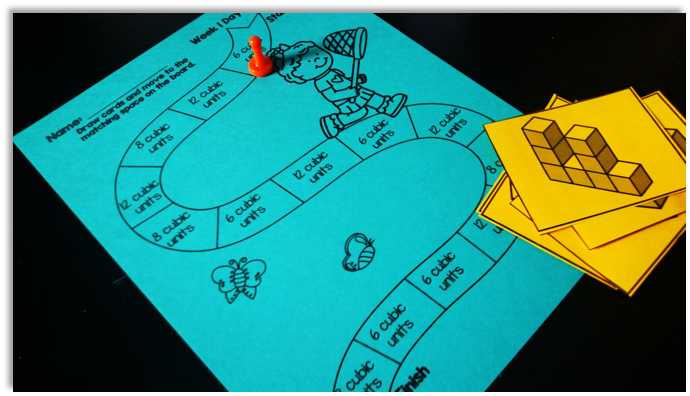 how I make Guided Math work in my classroom! 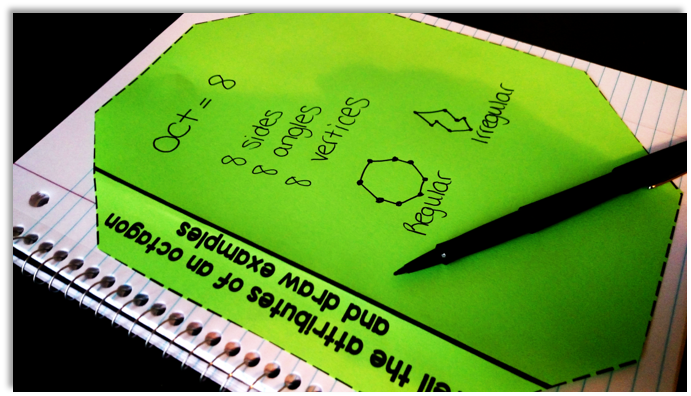 Psst--by the way---There is a link to my FREE Guided Math Course at the end of this post. 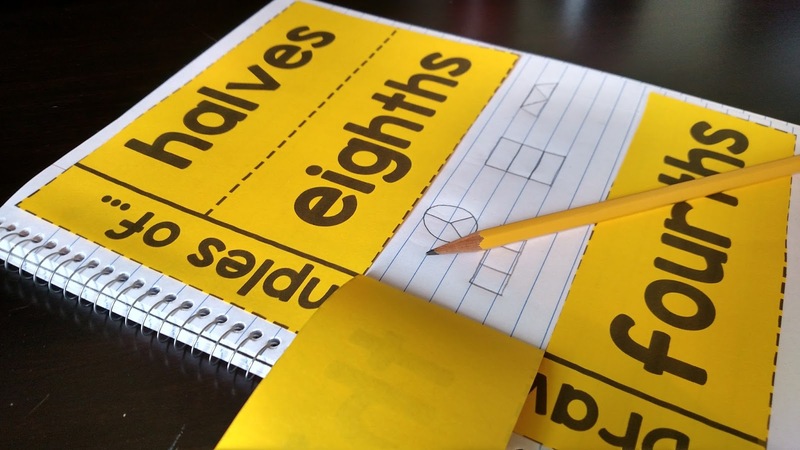 You can get fresh ideas and more of a breakdown of running flexible groups in your classroom! For me, my math block begins with whole group instruction. This is usually a 20-30 minute lesson, where I may be introducing a new objective for the day. Sometimes, I like to introduce the objective during whole group if the objective is a little more complicated. This saves me from having to repeat myself too much during small groups. 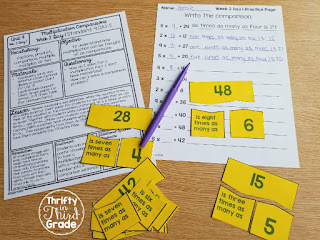 -Sometimes I also use whole group time as an opportunity to review something I noticed a lot of students making mistakes with. -Also, I might have students come to the front of the room to "be the teacher" and show the class how they solve a problem. My whole group time really varies depending on the flow of the lessons and how well my class is doing. I like to keep my whole group time flexible. When introducing the day's objective (whether during whole group or small group), I like to use the gradual release model. (I do, we do, you do, you do.) If you don't know much about this--you should look into it! Gradual release really helps kids. First I model. (I do) Then, I have students help me solve a problem. (We do) Next, students work with a group or partner on a problem. (You do) Last, students complete an independent practice. (You do) Usually the independent practice is a quick ticket out the door style problem. 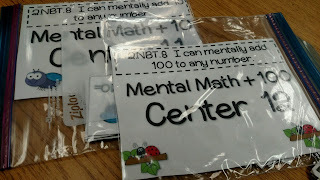 I use these to help me form my flexible groups, which leads me to the next part of my math block. Call it whatever you may, this is the time of day where I meet with my students in small targeted groups. Students are busy working in all parts of the room, most of them in centers working independently. 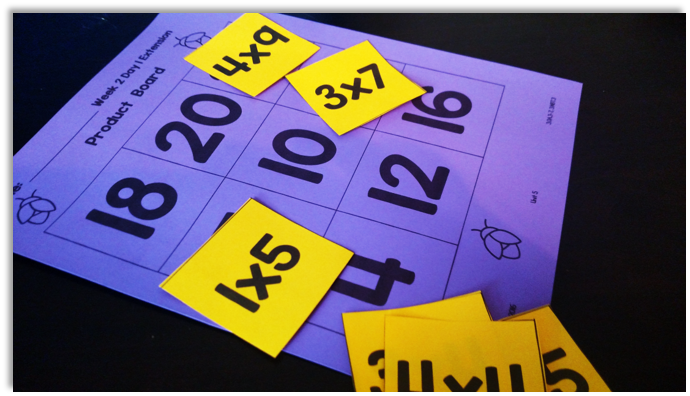 Over the years, I have refined my Guided Math set up to make it super easy for me to implement, yet effective for my students! I am excited to share my techniques with you. First of all, let me start by saying that I do not have set rotations where I ring a bell and students move to the next group after a certain amount of minutes. I have found that that does not work for me during a math block because students skill levels vary so much! And, depending on what we are doing, we may need more or less time. Instead, there are 4 big components to my Guided Math time. You can use the acronym MATH to help you remember these components. Want to download this free planning guide to take notes about this post? Get it here. You can also use it to jot down your ideas. Be sure to save a copy to your computer before you try to edit. I work with students in small groups (that I form based on their skill level on a certain objective) These are FLEXIBLE groups, meaning I pull students in and out of them all the time. They are not set groups. The simple reason being, a student who is great with geometry might really struggle with addition and subtraction! I use the information I gather from my students independent work in whole group math to set up my groups. (Do I adjust these groups everyday? No. But I am always sure to refine them from unit to unit.) During teacher time I target students to help grow them in a certain skill. I use targeted lesson plans that focus on a specific objective. I usually start with my middle group...you know, the kids who are inconsistent with the objective. They kind of get it--but aren't 100% sure how or why they are solving a problem a certain way. Normally I have found that this group of kids need a little extra practice and direction from me before they are ready to try it on their own again. The next group I pull in are my high flyers. This is usually very brief since they have already shown mastery of a skill. I use this quick check in time to make sure that they really DO get it and are comfortable with the objective. Once I am sure of this, I give them an enrichment activity to go work on. The last group I pull is my group of students who are really struggling with the objective. I pull them last because I need to spend the most time supporting them! Also, by this time, if a student from my first group is still having a hard time with something, they have probably come back to me for support. Now, I can add them to my last group and give them another dose of targeted instruction. 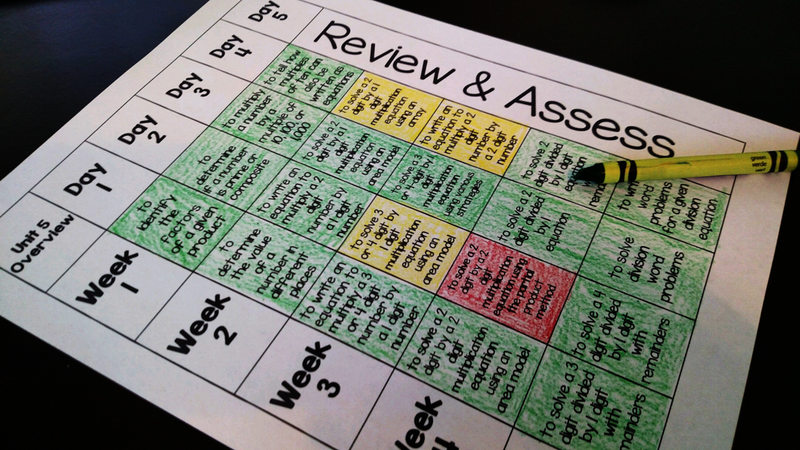 Teacher Tip: I can keep track of how successful my class is with each day's lesson by color coding my unit overview sheet. 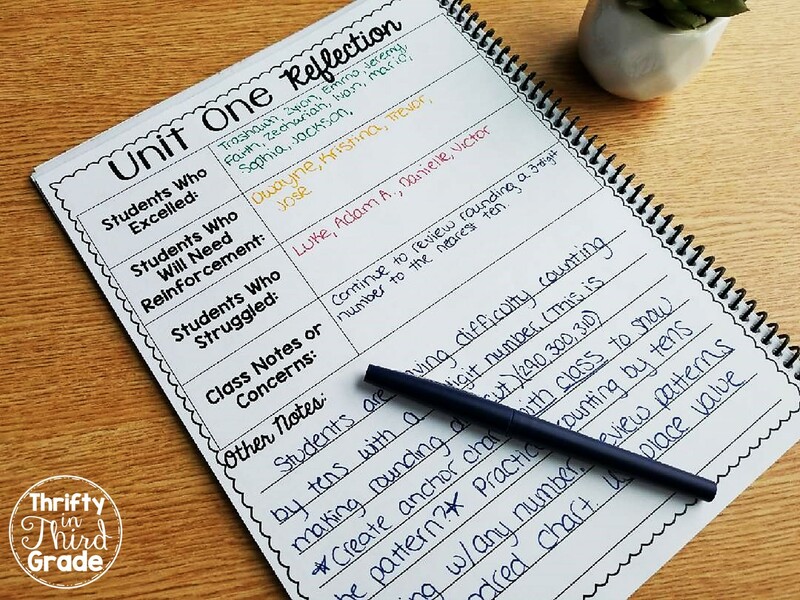 Save every unit overview and when its time to review for state testing, it is easy to know exactly what objectives to spend the most time reinforcing! 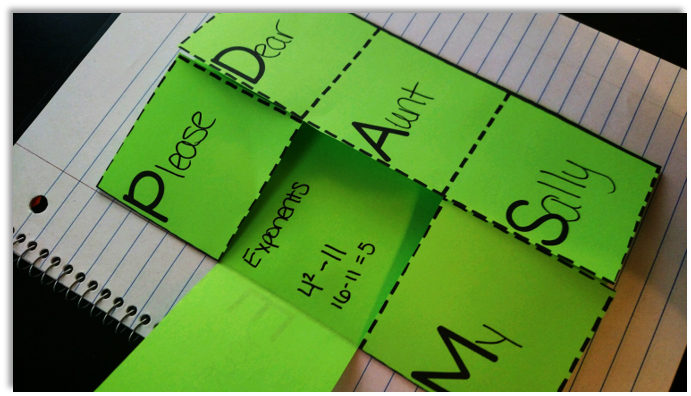 Vocabulary and Definition cards go in pocket charts for us to reference during the lesson. I also include any posters or essential questions we'll be using that day. 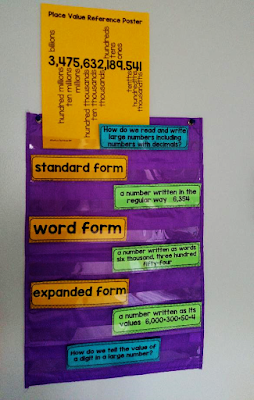 I also use various printables during my lesson to support students. These might be manipulatives, templates, vocabulary trifolds, posters, etc... 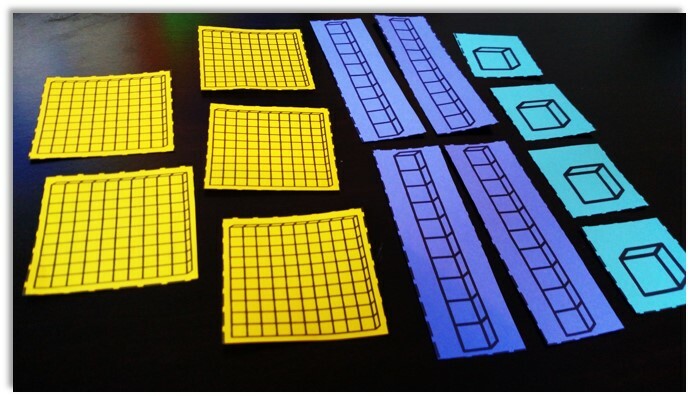 These are pics from materials in my Guided Math units. So, what are kids doing when they are not working with me? This is usually a longer form of independent work that students will turn into me. It may be a practice page or some other activity that can be turned in for me to check later. Students work on this independently, at their seats and turn it in when they finish. 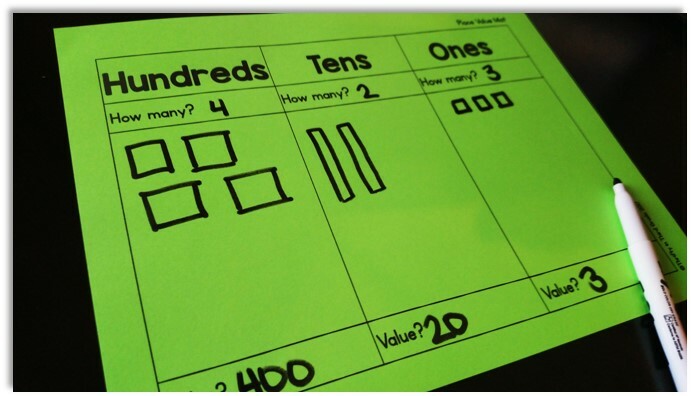 If you use my Guided Math units, you can use the practice pages that are included for each day's lesson. Once students have finished their skill practice, turned it in, and have completed fluency (or are waiting to complete fluency) they work on Hands On activities. Mind you--they are still working at their desks (or possibly with a partner at a table in the room. This depends on behavior. 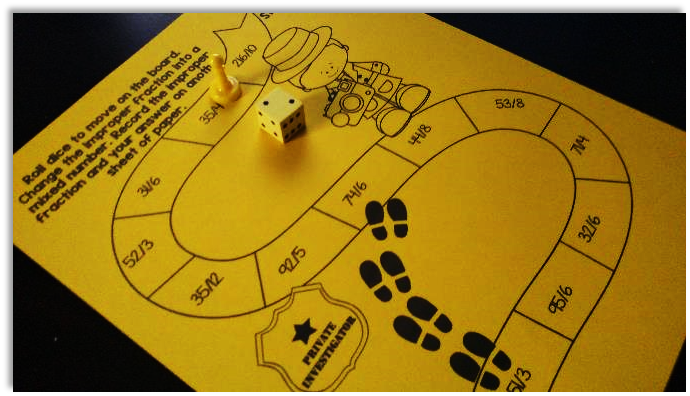 Students have to earn the privilege of partner games.) 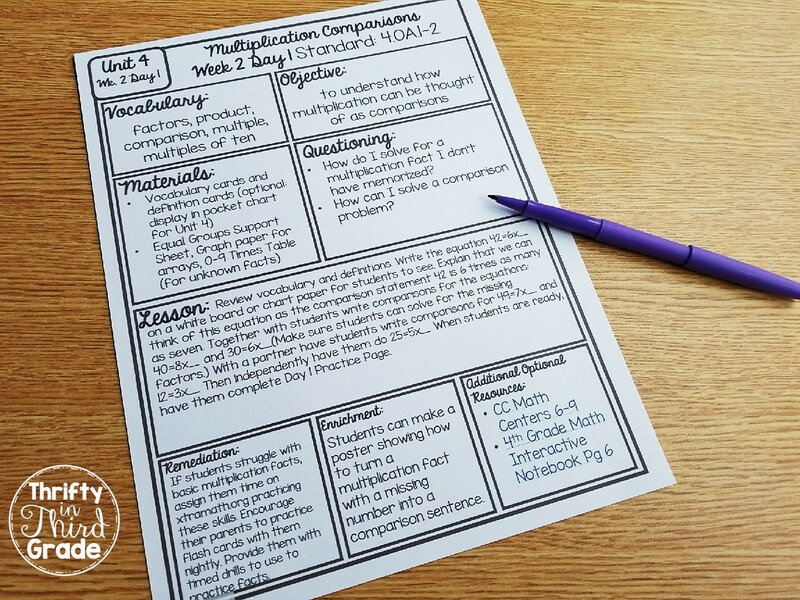 I use my Common Core Math Centers and keep them in a bucket all year. 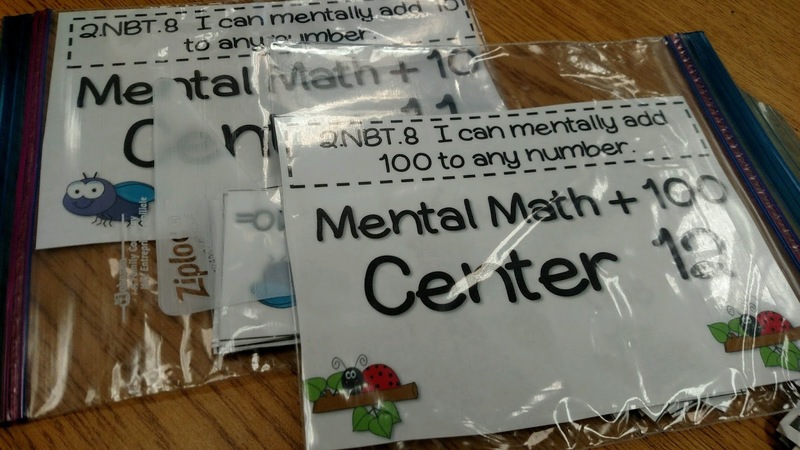 Students practice these centers often and it helps keep the standards fresh in their heads all year long. 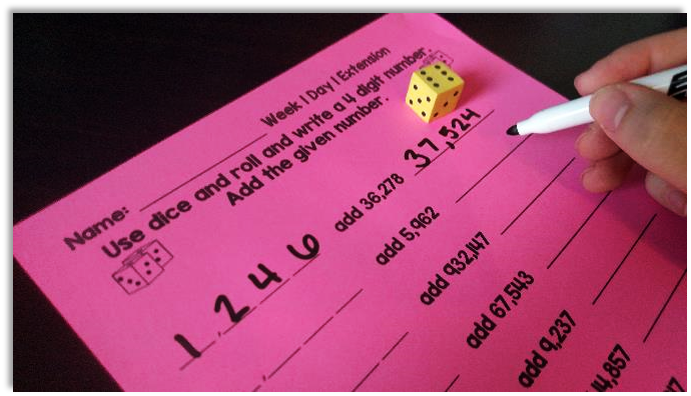 Another option for students who have completed their skill practice and fluency is to work on extension activities. 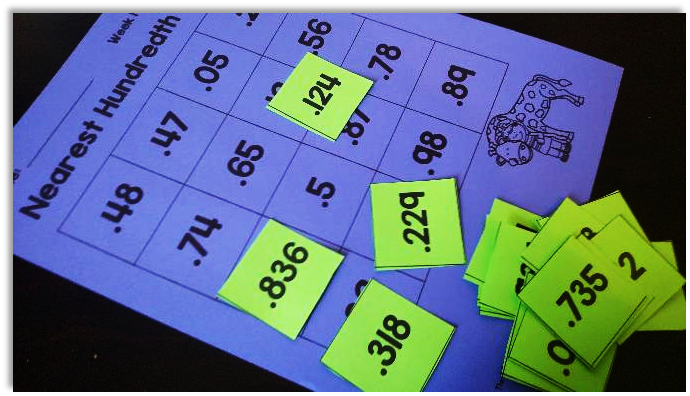 This can be a writing activity that has to do with our math objective, a puzzle, or a math game. These activities all go with the specific objective we are working on for the day. (They can be found in all of my Guided Math units. 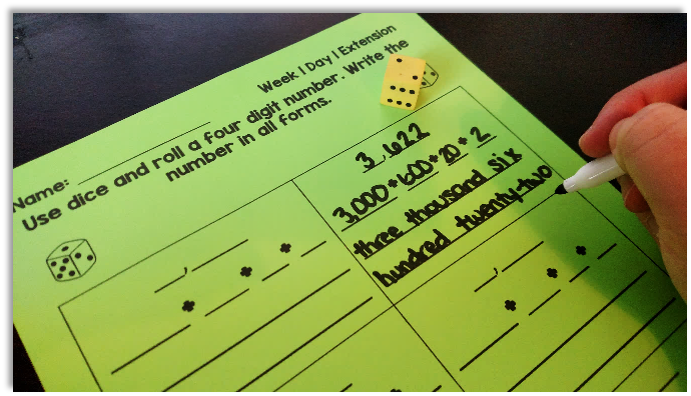 Just like the lesson plan and practice page, there is also an extension activity for each day's lesson.) 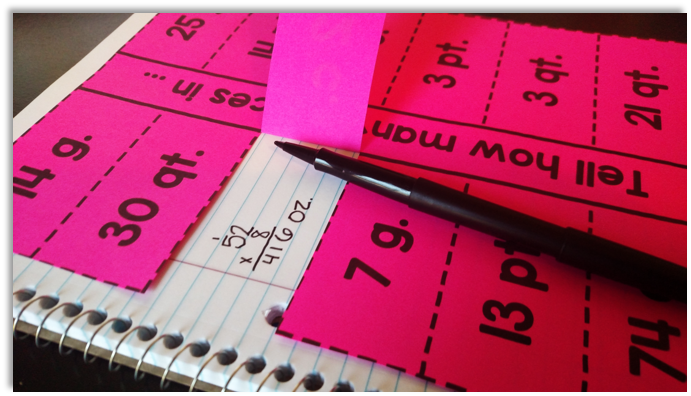 Students are still working on these at their seats, or somewhere else in the room--quietly. The extension activity goes along with the specific objective taught that day. So, students practice the objective when they do the practice page and when they do the activity. 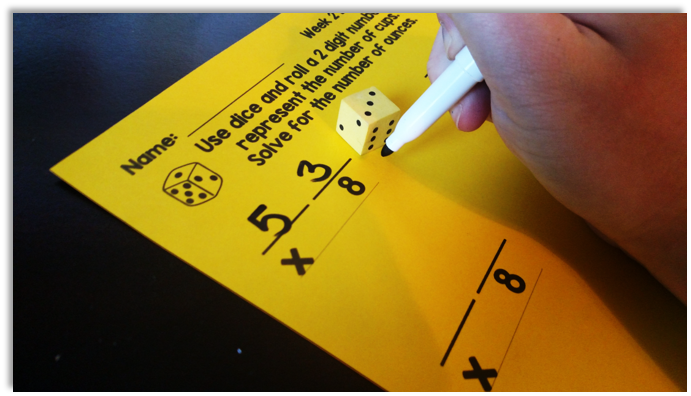 My Guided Math Bundles include a variety of extension activities to keep your students engaged. 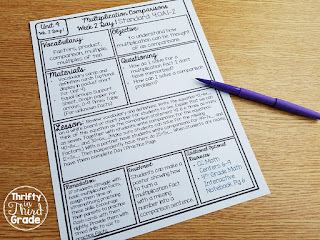 BTW--These extension activities are another great way to spiral review throughout the entire year! 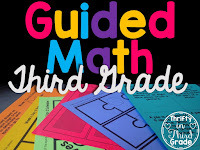 Looking to learn more about Guided Math? Whether you have no experience with Guided Math, or years of experience, this course can help you! I go further in depth with everything I covered in this post! Put your feet up, grab some coffee, and relax--you can do this whole course from your cell phone! Sign up for this FREE course and get fresh ideas for running Guided Math in YOUR classroom! WOW! I just stumbled on your blog from Pinterest. I LOVE this bundle!! I have it in my shopping cart now. I am your new follower. Great resources! Thanks so much Stephanie! I hope you enjoy it! This product has been heaven on earth! The organization of the units, the activities, the lesson plans...ALL OF IT, I love! You are creating wonderful products. Keep up the great work! 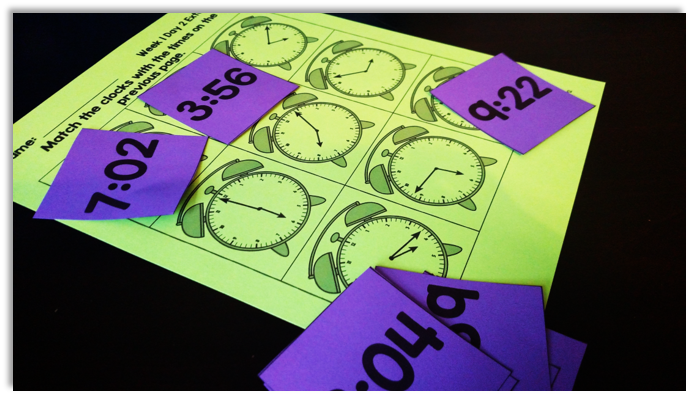 Hi Cassandra, I am looking for a new way to run my math time (yours is close to mine but a little different, and I'm thinking that maybe the change I need), and I was wondering how long is your entire math block? I'm trying to figure out what my timing would look like compared to the model you've outlined. Thanks so much!! Hi Jennifer. I have 90 minutes for my math block. 20-30 spent on the whole group lesson and the remainder of time is spent in small groups doing guided math. Let me know if you have any other questions! This is the BEST math pack I have seen. I'm so glad you have a 4th grade one! It is in my cart! I also LOVE all of you parent helpers and especially that they are in Spanish too! Thanks Stephanie! I hope you love it! Hi there! 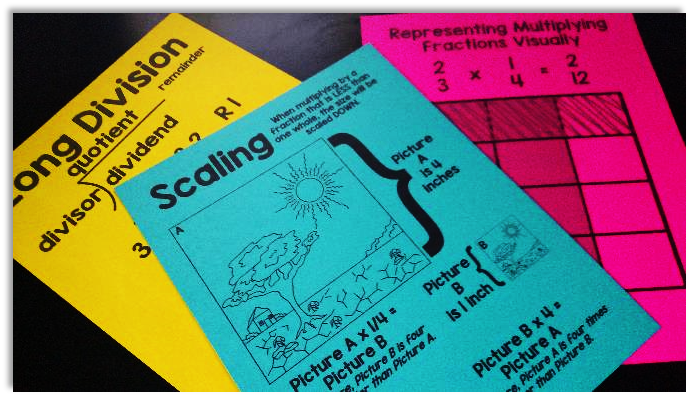 I am so eager to purchase your 4th graded Guided Math set, as I am starting Guided Math for the first time this year. I do have a question... do you meet with each group every day at the small group table? Or do you meet with one group per day? Thank you! Each group every day. BUT I do not have a set amount of time with each group. As I explain in this post, it could be a very quick check in with my high students, and more time with my other groups. I just give my students a one minute warning so they can clean up what they are doing if they know they are coming to me next. 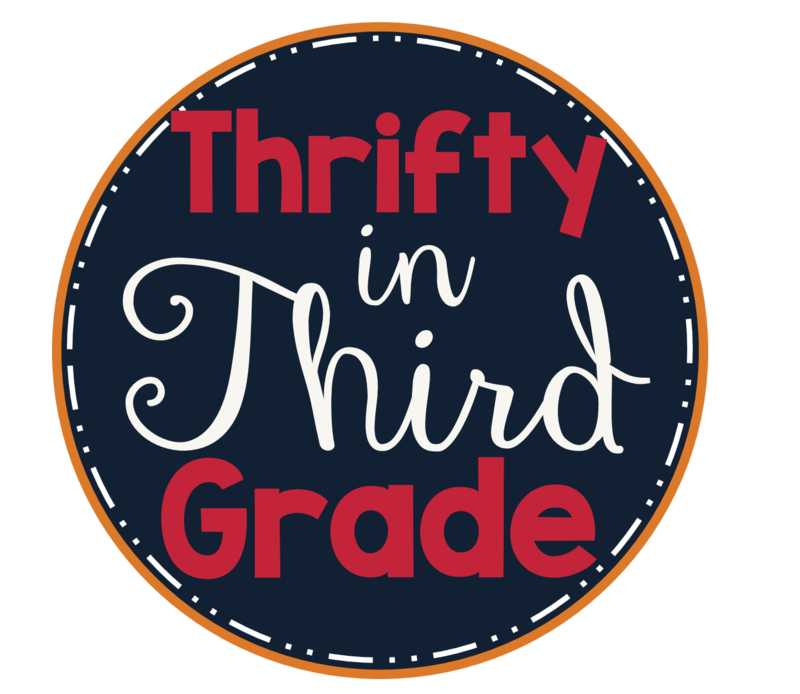 I was so excited to see a blog with resources for 5th grade Guided Math, and I love the way you organize your small groups (allowing more time for your struggling learners and not setting a specific time for each group); however, when I click on the link, the products aren't available. I was just wondering why. Thank you in advance for your response! Hi Lisa! 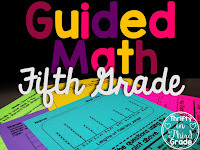 I am launching 5th Grade Guided Math on June 17th. The links will be active starting that day! Let me know if you have any other questions! Thank you so much for creating this resource for 5th grade! I have looked for guided math units for this grade level for the last 2-3 years to no avail. I reviewed the bundles you created for the other grade levels, and it is obvious how much time, dedication, and effort went into them. You have just made my summer MUCH more relaxing and carefree!! I can't wait to purchase these! Lisa, thank you so much for your kind words! They mean a lot to me! I am glad to help you have a relaxing summer! Hi! Love this resource! Just wondering if you have ever had to work in a slit class? 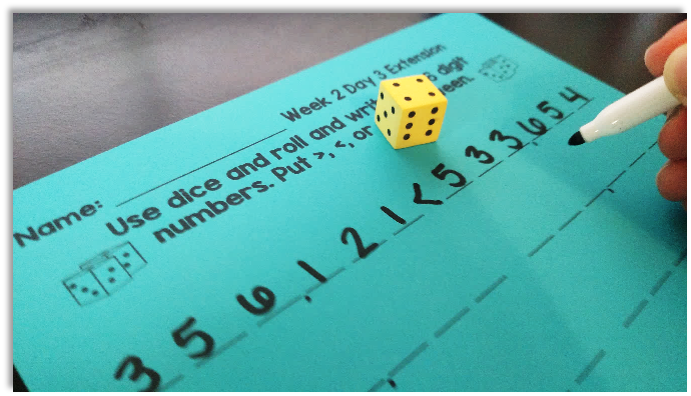 I would love to implement guided math, but I will be teaching a combination of Grade 3 and 4 next year and I was wondering if you had any experience with that? I will be teaching 5th grade Eureka/Engage NY math in the fall. This is the second year using this curriculum. 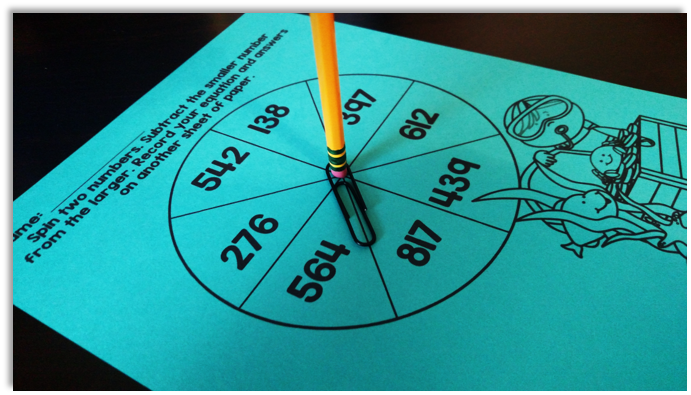 Does your 5th grade Guided Math activities align to Eureka at all? I have it in my shopping cart but hoping to hear your thoughts before I actually purchase. All great ideas! 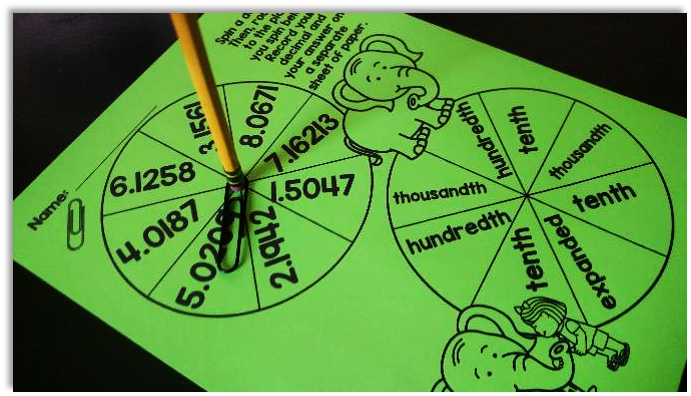 I'll incorporate some on my 1st grade math class! Love your resources! Hoping to implement guided math in my 4th grade classroom this year. I'm wondering...what do you use for math homework? Thanks! I moved toward a no homework policy. 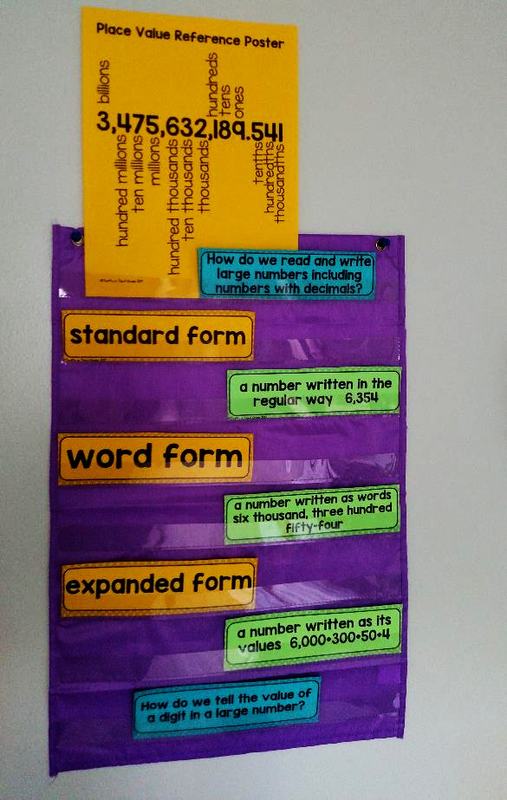 My students had flashcards to practice math facts, and a reading log from the school. If you want to send something home, you might consider sending home the extension activities. I would use them as a way to spiral review. Students can play the games with their parents. They are still practicing skills, but are having fun. Great article!!! I do have a few questions. 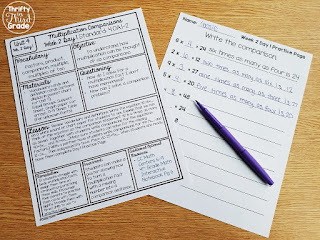 First, if you use the last “I do” component of your whole group lesson to group students, what are they doing while you check their work and how long does it take you? Second, how do you manage the flow of students to centers and technology? Correct me if I’m wrong, but students must first do the independent practice, then fluency before moving to technology or a center? I love this idea, but have no idea how to manage it without my third graders interrupting me that someone took their spot, etc. Thanks in advance and keep up the good work! When you have a sub do you have them run a small group or just monitor the students as they work in their "centers"? I find it can be hard to give a sub things like this and expect it to be done by them. Thanks! Hi Heather! It really depends on the class and the sub to be honest. I have had classes that could totally handle groups without me, and classes that could not. If you do have a sub try it, I recommend having independent work at the teacher table to the sub can monitor behavior throughout the classroom instead of teach a group. This is fantastic! I am search of something like this for 7th and 8th grade. I have two daughters that are very visual learners and this would be perfect for them both. These look great! Any chance you'll put out a first grade bundle? Yes, I am hoping to! Check back with me this summer! 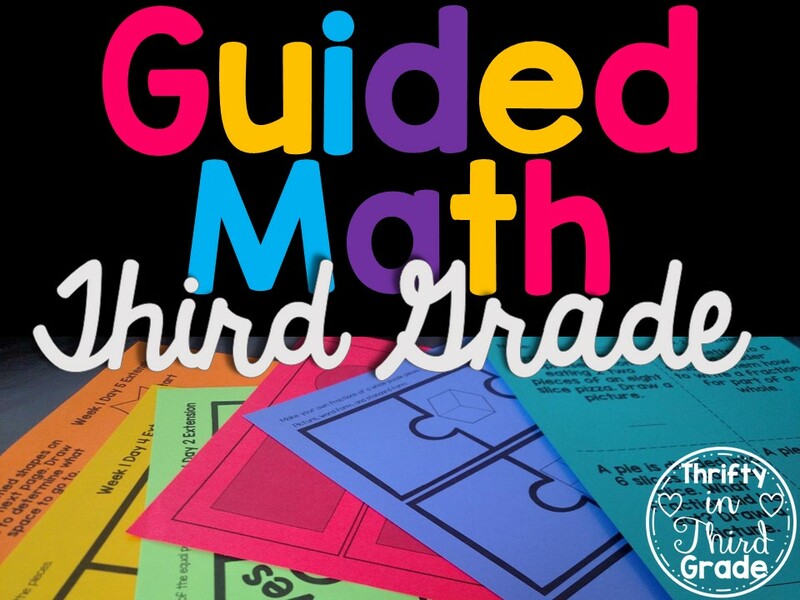 1st Grade Guided Math is available now! How about a 6th grade bundle? I haven't decided if I am expanding to 6th grade just yet! I am currently working on first grade. Thanks for all of this- so helpful! Do students check their own "center work" or do they turn it in for you to check? Just wondering how to manage all of the independent and enrichment work. 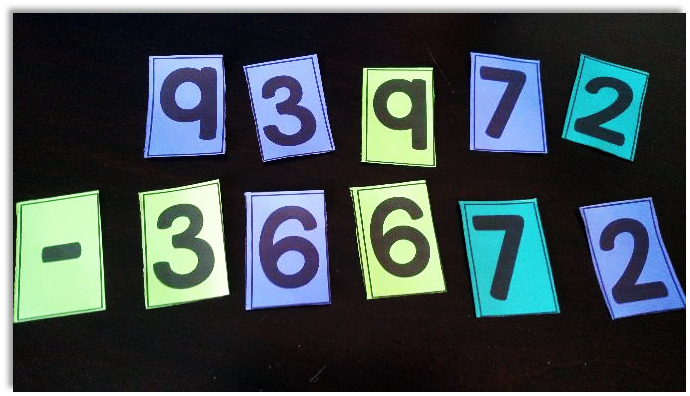 A lot of the centers and extension activities can easily be made self checking by putting matching stickers (or a quick drawn symbol) on the backs of the matching answers. However, some such as board games, I do not check. 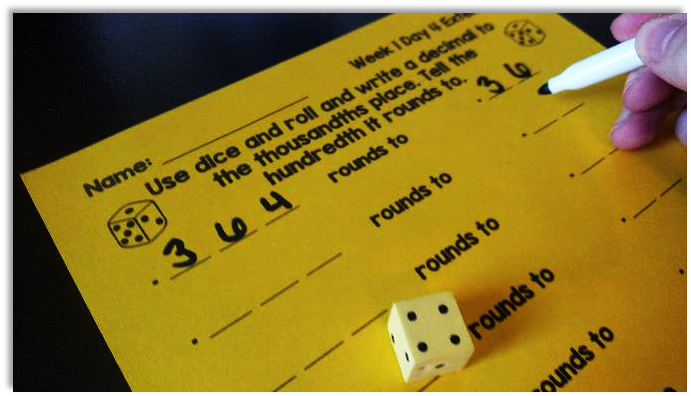 For the activities such as the dice rolling games or spinner games you can have your students turn in a piece of paper with their answers from the game. 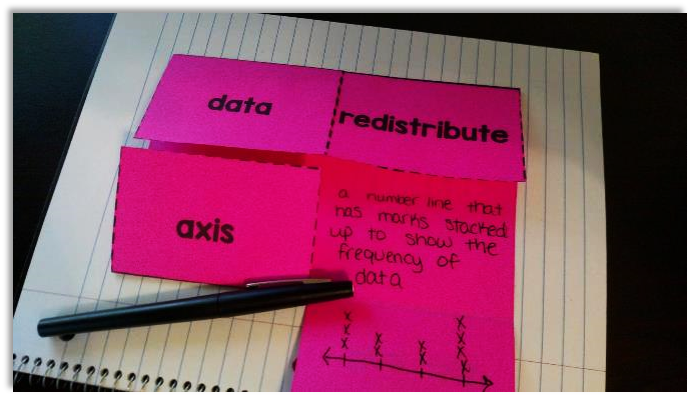 If students do a cut and paste sort extension activity, you can definitely have them turn that in as well. 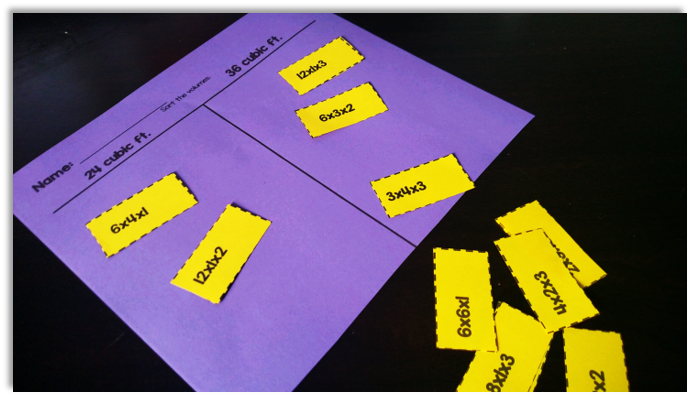 Just spend some time modeling your expectations at the beginning of the year for the different types of centers. 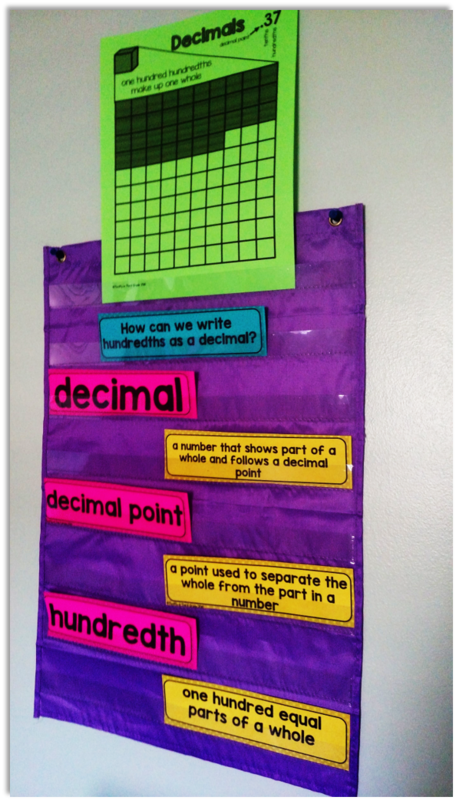 How do these work with a set curriculum like Everyday Math? Many people use these resources with set curriculums! The bundle includes a handbook which includes a day by day overview of all the lessons taught in the units. It makes it easy to match up materials with your curriculum. You can certainly use the units to supplement your curriculum. However, there are so many materials and resources, some people have even chosen to replace their curriculum with these bundles. 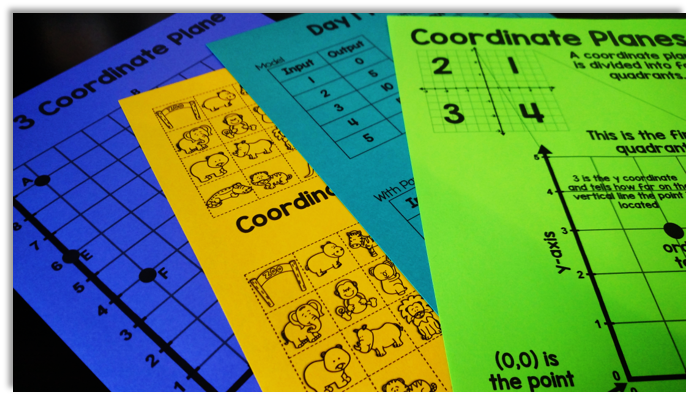 I have your Guided Math Bundle and centers. Can't wait to use them this year! Do you have any plans to create a bundle for grade 6. I teach in a k-6 school and would love to have access to your wonderful materials. Thanks. Hi, thanks for reaching out! At this time I have other projects I am working on. I have not decided if I will be expanding my Guided Math curriculums past fifth grade.